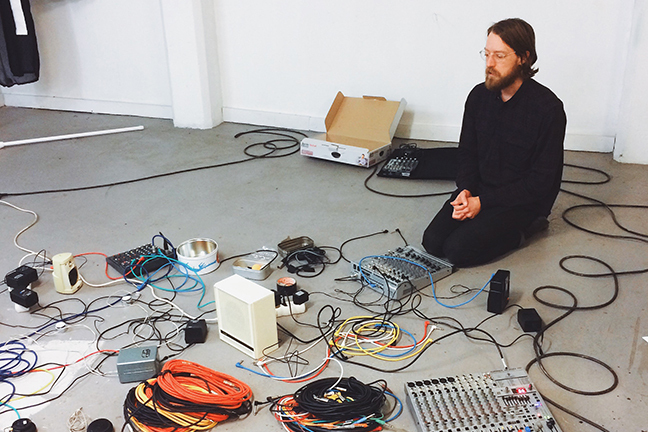 Richard Widerberg is a sound artist and musician based in Gothenburg, Sweden. In his work he is investigating listening and the experience of body, space and flow in relation to past and present. The structures and systems inside and outside of us that gives us freedom, control or chaos also play an important role in his work. Richard’s work is presented as performances and installations where collaborations and participation play an important role. He has a Master of Arts degree from the School of Arts, Design and Architecture at Aalto University in Helsinki.